The monthly night for all things Dancehall, Soca, Afrobeats and more is back at the Shackelwell Arms. 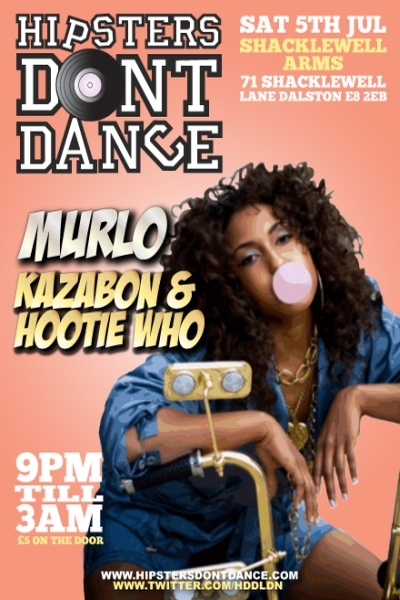 You can find Murlo alongside Kazabon & Hootie Who in the back room recreating the feeling of Carnival in the middle of Dalston. Rum, Batty Riders, Flags and more in our own World Carnival dance. The Bogle, Dutty Whine and Row Di Boat are not only encouraged but guaranteed. Let’s enjoy this bank holiday weekend with some rum soaked fun! Fête Hard or Go Home! "This excellent dancehall party is as refreshing as a cold Red Stripe in the middle of Carnival"